Whether you have modern rugs in your home or the traditional area rugs we have a 360-degree approach to cleaning them. We offer all kind of rug cleaning Sydney areas. Apart from rug cleaning services we also offer you professional carpet cleaning Sydney areas as well. Rug and carpet cleaning is a tough job. Even after vacuuming, the dust still remained stick inside them, leaving dark dust stains on the floor. So, it is better to hire the professional carpet cleaning Sydney service providers and rug cleaners like us. We are always happy to help and just one call away from you. With our steam rug cleaning technology, we give a new life to your rugs and make them as new as they were when you first bought it. We use high-quality detergents and pressure wash technique for stain and leftover removals from the carpet and rugs. Our professional cleaners work 24/7 and serve our clients at highest standards to provide 100% work satisfaction. We maintain a complete checklist of rug and carpet cleaning process and continuously update it on daily basis as per new advancement in technology. In fact, we are trendsetters in our business field in Sydney with up-to-date and fully advanced equipment. Our professional teams are trained to do the job in step by step no matter how hard are the stains. 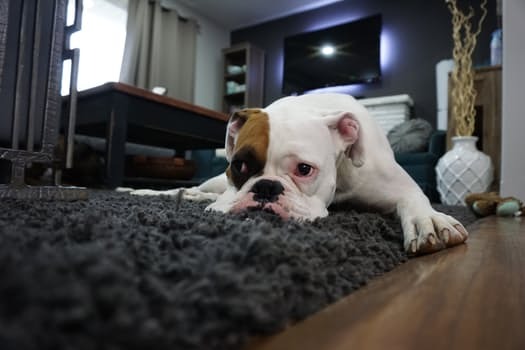 Has your pet left some unwanted marks on your lovely rugs, or someone has spilled wine or coffee over them or perhaps it’s been a long while there filled with dust, soil and stains, just leave it to our professional cleaning team which is specially trained for such job. With our well trained and fully equipped cleaners, we provide top services for Rug Cleaning Sydney. Moreover, our main focus is to serve you with high standard quality services in Sydney. We are providing professional carpet cleaning Sydney areas including eastern suburbs, Blacktown, Alexandria, Penrith, and Parramatta etc. Here you can read more about our service carpet cleaning eastern suburbs. We believe in complete customer satisfaction. Our rug cleaning Sydney business is not just about giving the required services but doing it the right way. Reliability means your home or office gets the treatment it needs to make it a better place to live or work in. It also means saving customers time and efforts, so you take care of yourself while we take care of your home or office.